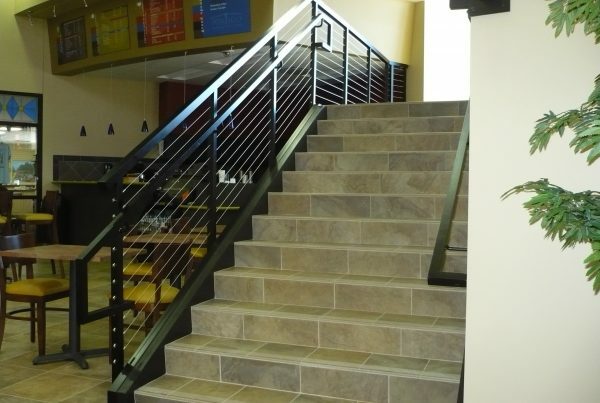 AGS & Handrails’ Cable Guard Railings create a modern 21st century style guard railing. 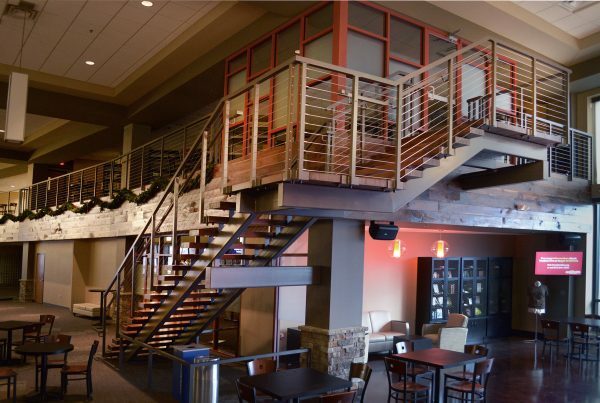 The top rails are fabricated from Aluminum extrusions, Stainless Steel pipe or tube, or wood shapes. The cables are either 1 x 19 or 7 x 7, Type 316 stainless steel strand, and the diameter is either 1/8 inch or 3/16 inch cable. 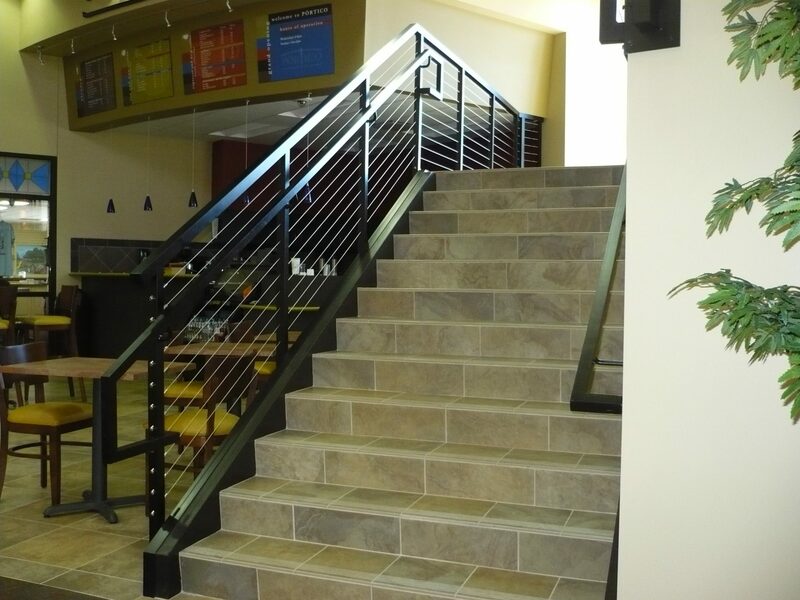 The aluminum guard railings can be powder coated painted from a vast selection of standard colors. 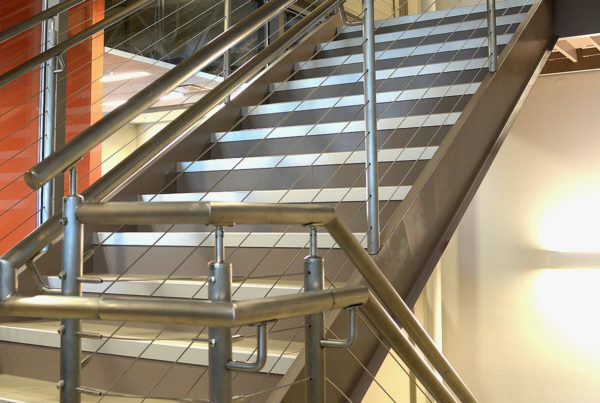 The Stainless Steel guard railings can be satin No.4 finish. 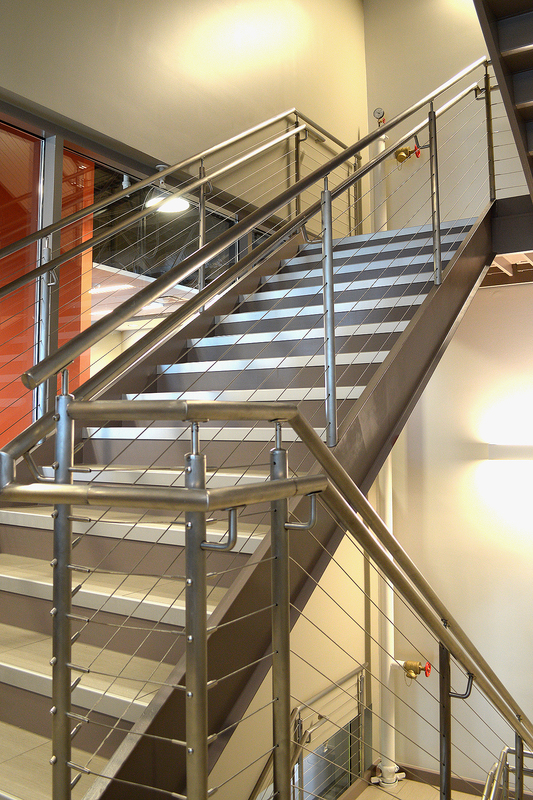 Our Cable Guard Railings systems will exceed a 200 lb. load. 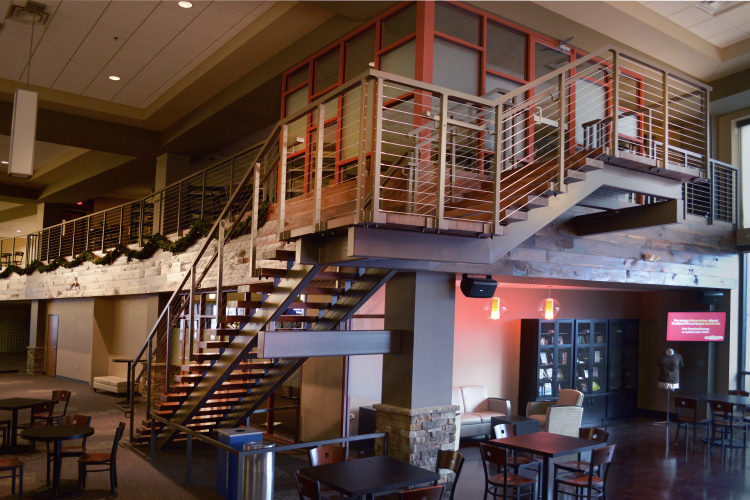 Cable Guard Railings can dramatically change the look and feel of an interior space while adding functionality and safety. 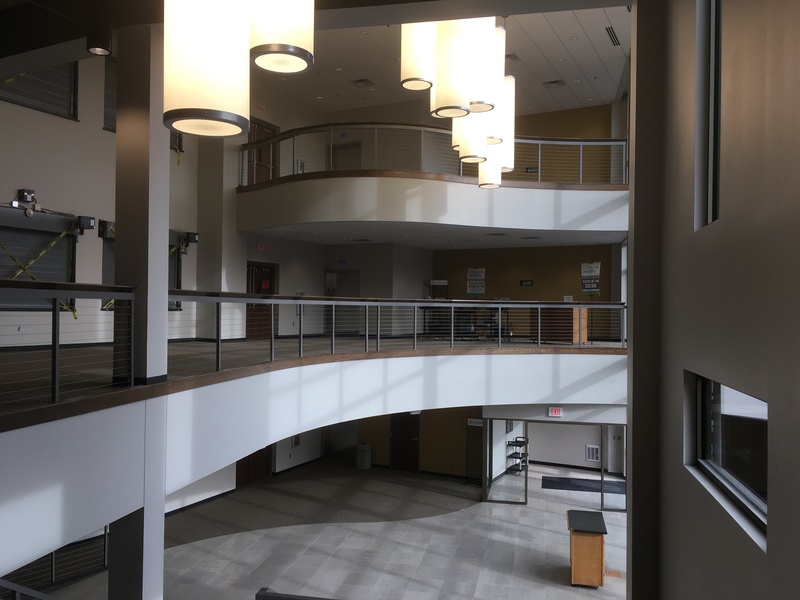 These Cable Guard Railings have innovative design details to ensure lasting beauty, structural integrity, and affordability while drastically reducing long term maintenance expenses. E-mail or call us today for our specification Section 057319.